Coming off the North Carolina football team’s open week, Larry Fedora met with reporters for his weekly press conference on Monday. 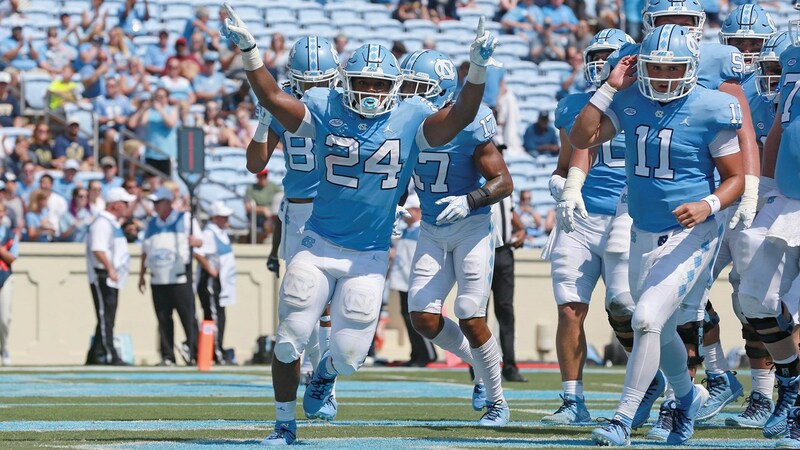 In their last game, the Tar Heels fell 47-10 at Miami on Sept. 27. The bye week followed, and during a stretch in which the team largely focused on the fundamentals, Fedora said he was happy with how his players responded to the defeat. With Hurricane Florence forcing UNC to cancel the UCF game on Sept. 15, Carolina didn’t play its home opener until Sept. 22. As of now, that’s still the only game the Tar Heels have played at Kenan Stadium this season. In the Miami loss, Nathan Elliott and Chazz Surratt combined to complete 20-of-35 passes for only 114 yards. They totaled six turnovers, with Elliott losing three fumbles and Surratt tossing three interceptions in his season debut. Fedora didn’t say who would start at quarterback for UNC on Saturday, but he said the coaching staff is “getting closer” to finding clarity at the position. After Josh Jackson suffered an injury in Virginia Tech’s loss at Old Dominion on Sept. 22, Ryan Willis took over at quarterback for the Hokies. Willis has started two games since then, completing 48-of-79 passes for 641 yards and five touchdowns.